According to the 2016 Top Threats report from CSA, the ramifications of poor cloud computing decisions is no longer an IT issue but rather a boardroom issue. Executives at the highest levels are under scrutiny about security posture, and their response to a breach, from stakeholders, regulators and consumers. The growth of cloud and mobile technologies in the workplace has forced IT and security professionals to re-think their security strategy. A traditional network perimeter built on firewalls, VPNs, IDS, and DLP does not address the new threat landscape of phishing, social engineering, and data breaches. 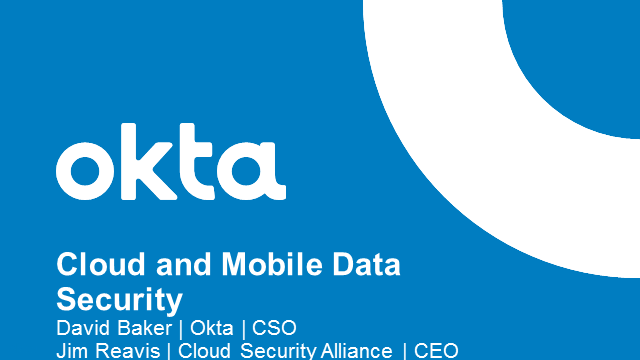 Join CSA CEO, Jim Reavis and Okta CISO, David Baker, for a discussion on the top threats organizations face, how the landscape is changing and best practices for improving the security of your organization.